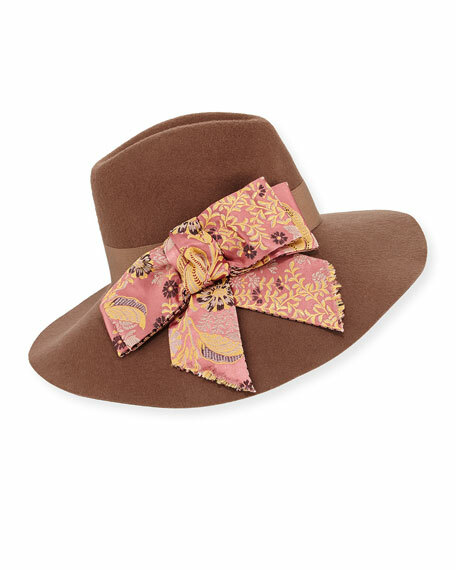 Etro wool hat with floral and paisley print bow. For in-store inquiries, use sku #2313133. 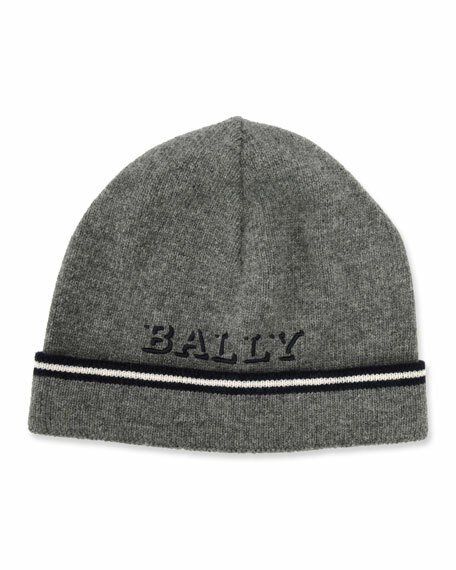 Bally beanie in thick ribbed knit for warmth. Cuffed crown; typographic logo at front. Close-fitting silhouette. Fold-over hem. Wool. Made in Italy. 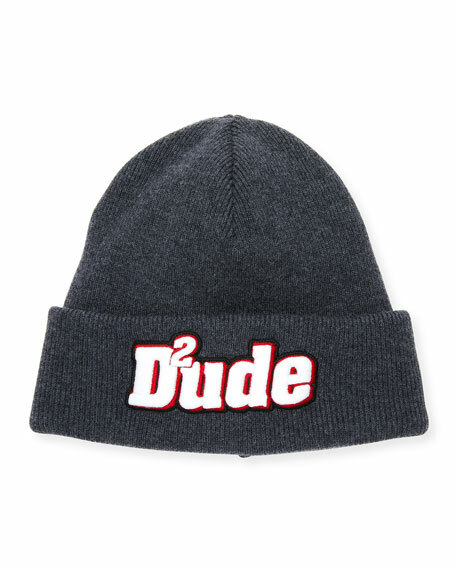 Dsquared2 men's beanie in thick ribbed knit for warmth. Cuffed crown; "2Dude" patch at front. Close-fitting silhouette. Wool; polyester trim. Made in Italy. 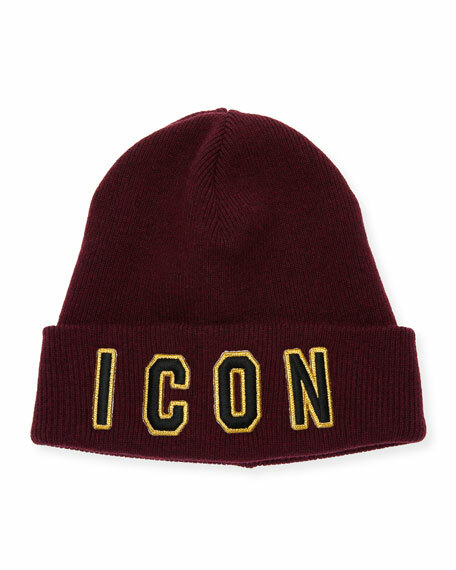 Dsquared2 beanie in thick ribbed knit for warmth. Cuffed crown; typographic "Icon" patch at front. Close-fitting silhouette. Wool; polyester trim. Made in Italy. 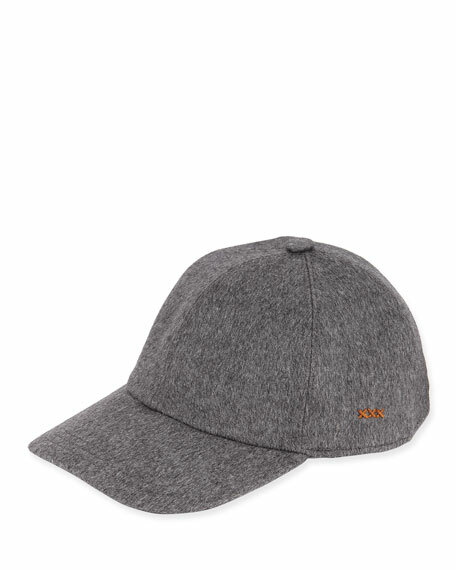 Ermenegildo Zegna baseball cap in heathered felt. Five-panel construction. Elasticized back strap. Button at crown. Cashmere. Made in Italy.